1. There’s so much more to Miami than just the beach. Events all over the city make Miami Art Week the perfect time to go exploring. Every neighborhood has its own thing going on; from the huge art scene in Wynwood to the incredible live music that spills out onto the streets of Little Havana. 2. And you can go an entire trip to Miami without even stepping foot on the sand. The main drawcard of the week is the massive Art Basel exhibition at Miami Beach Convention Center, but there are also loads of pop-ups at smaller galleries across Miami. 3. “Basel” is not a herb. It’s pronounced bah-sel. The art show actually started in Basel, Switzerland, in the ’70s. Since then it’s launched spin-off editions in the US and Hong Kong. 4. Wynwood comes ALIVE with amazing creative energy (even more so than usual). This neighborhood is famous for its street art (Wynwood Walls, anyone?) so during Art Week it’s totally In. Its. Element. The roads were closed on the weekend making it easy for crowds to roam freely. 5. And the fashion on the street is 💯. Forget fashion week: Miami street style is where it’s at. Even if you’re not a huge art-buff, it’s worth coming for the people watching alone. 6. But beware the traffic is…kind of a nightmare. Note for next year: No matter where you’re going, it’ll take longer than you think. 7. 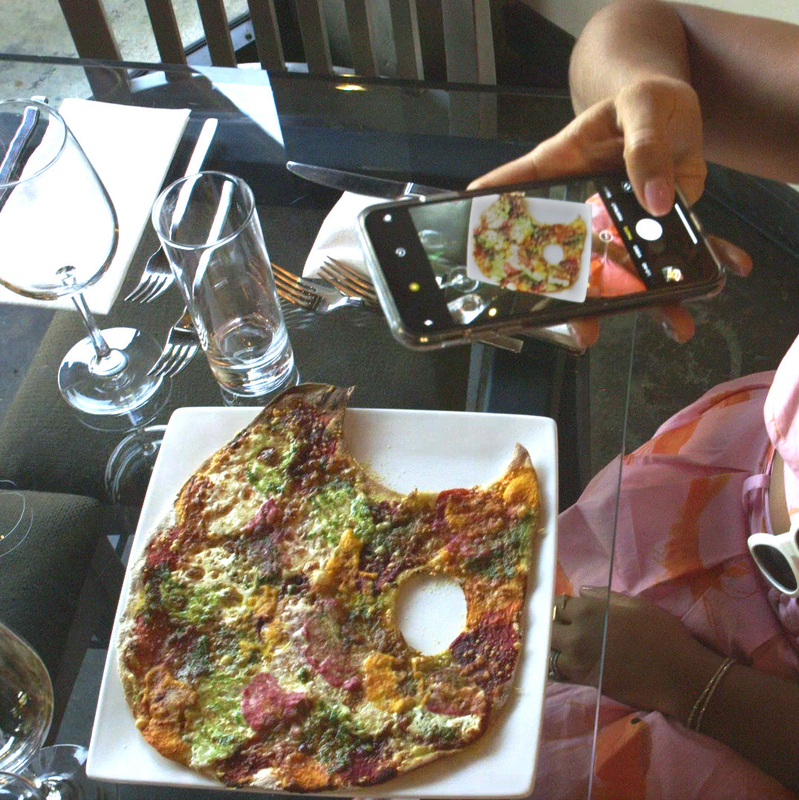 Even the food turns into art! Tons of bars and restaurants offer specials throughout the week, like the palate pizza from R House in Wynwood which is made with SEVEN different house-made sauces. 8. Art galleries can pop up literally anywhere. Seriously. 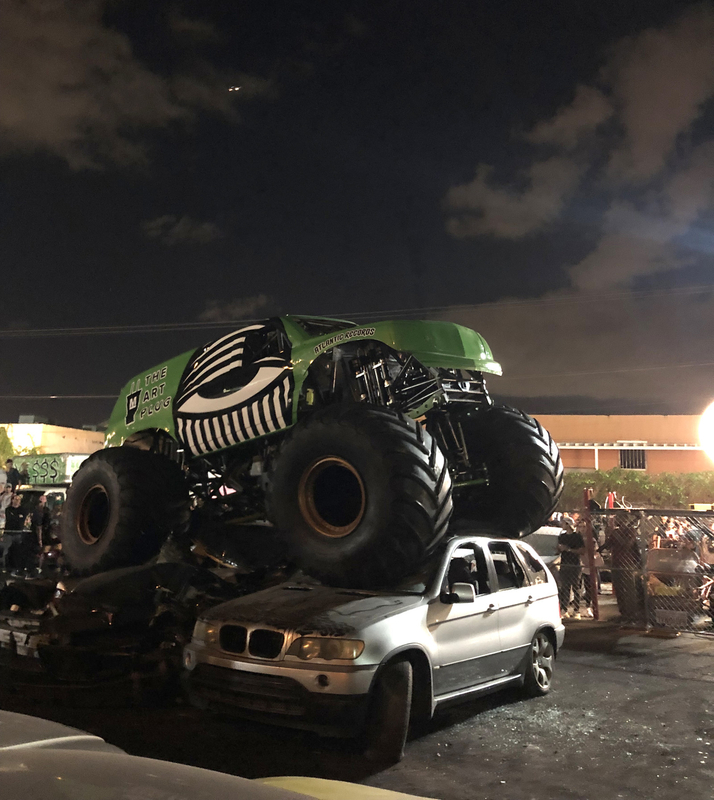 The experiential Art Plug Power House took place in a police impound yard (complete with monster trucks), for example. 9. And if you’re lucky, you might even run into some of the artists. Thousands of artists exhibit during Miami Art Week, so you never know who you’re going to meet. We spotted Insta-famous artist Ketnipz painting the bean (!!!). 10. People spend as much time at parties as they do at galleries. I mean, this is Miami we’re talking about. This year there were performances by Paul Oakenfold, ZHU, and Pharrell, to name a few. 11. But most importantly: You don’t have to be a celebrity or art connoisseur to have an amazing experience. Sure, there are always going to be ~exclusive~ parties. But you can buy tickets to the majority of events, and even if you don’t, there’s so much to discover just by wandering around.